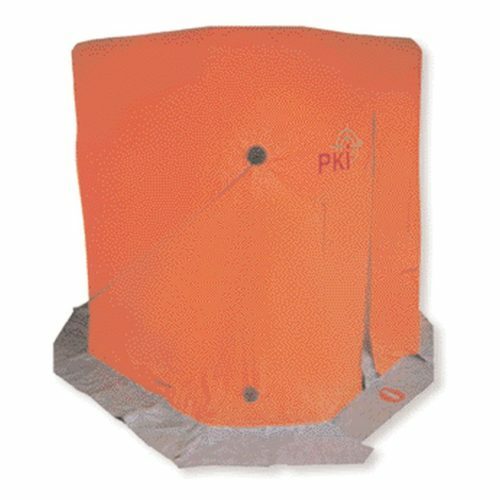 This mobile inflatable shower tent is designed for decontamination of persons directly on-side. The double walled tent construction offers privacy and protection from cold temperatures outside. 2 Persons can take a shower at the same time. Outer tent and shower cubicle have a separate entry and exit. The tube frame is protected against over pressure by a safety valve. Installation is possible within 30 seconds. Various: If higher capacities are required we can deliver shower tents for up to 240 people/hour.